I get so many messages about what I should and shouldn’t be doing as a parent. Because there are so many ideas, I can lose track of what is really important and end up not doing any of them consciously. 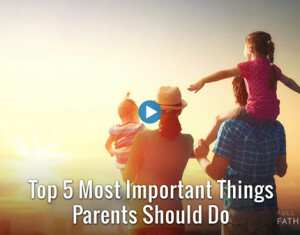 This week’s video lays out what I see as the 5 most important things parents should do to help keep the priorities straight and thus hopefully retain their sanity. Done together, these ways of parenting can truly support your child to live a life of joy and happiness. I really hope you find them as profoundly helpful as I have.